Finding Humour in life situations is a skill for the 21st century!! If we can learn this one skill then I feel we have learnt the most effective coping mechanism that will help us handle all the arrows aimed at us by Maya the seducer - illusionist! 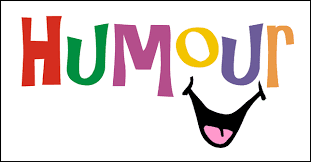 Humour helps us see others and ourselves through a lens of tolerance and acceptance. It includes and helps us gain perspective....as long as we don't get carried away by our own sense of humour! Once there was a mullah, a wise teacher, named Nasreddin Hodja. Everyone, from beggars to kings, sought the mullah's teachings, for people said he was the wisest man among wise men. One summer day Nasreddin was wandering through the great covered bazaar of Isfahan. This was one of Nasreddin's favorite activities, for everywhere he saw people he knew. Some had just returned from long journeys, others were selling wares. It was a friendly and inviting place. As he walked along he happened upon a group of men arguing. Even from a distance, Nasreddin could hear their raised voices, words flying this way and that, and naturally he was curious to know what could cause an argument on such a beautiful day. "Salaam," he greeted the men, sticking his head into their circle. "Salaam," they replied, but they could not stop their arguing, and the mullah saw that they were passing something around the circle. "What is it?" the mullah asked. "I say this is a jewel," one man said. "No, no, it is a sign from the enemy," shouted another. "Not at all," the mule driver cried, "it must be a gift from Allah." Nasreddin peered closely at the object as the mule driver explained: "I was riding across the desert, and it caught my eye. I carried it here to show the wise men, but no one knows what it is." "Perhaps you can tell us," one of the men said to Nasreddin. "Here, take it," the others said. "Tell us what it is." "See," said the mule driver, "that needle quivers when you shake it, but no matter how much you try to move it, it always returns to point north." The mullah turned the box over. He lifted it into the air. He turned it again. He shook it with one hand, then with two. But each time he looked inside, that quivering needle was pointing north -- toward the northern end of the Grand Bazaar, toward the distant mountains. By now many others had begun to gather around. "What is it? Does the mullah know the answer? How can a needle always know which way is north?" Everyone was asking questions; many trusted that the mullah would know. Then, suddenly, the mullah began to cry; great gushing tears flowed from his deep brown eyes. Everyone gasped, but just as the mule driver was about to step forward to offer solace, the mullah burst out laughing. "What's going on?" someone asked, but again the mullah burst into tears. "Can I help?" another offered, but before he could finish his sentence the mullah had again begun to cry, and then laugh, and then cry. "Why are you crying?" some asked. "Why are you laughing?" others queried. "It is impossible to cry and laugh at the same time," another said. Word spread through the city of this extraordinary event, and even more people gathered. Women, drawing veils over their faces, ran to the bazaar; young children begged their teachers to end the school day so they could go and witness the spectacle of Nasreddin crying and laughing. Finally a young boy, feeling sorry for the great mullah, called out: "Please, someone help the mullah!" When Nasreddin heard the child's words, he suddenly stopped laughing and crying. He grew very quiet, and so did all those gathered around. "Let me explain," he said softly. "I cry," the mullah said, "because not one of you among this enormous crowd is wise enough to know what this box is. It is such a tiny box, such an insignificant needle, and yet it has more wisdom than all of you, for it knows what it is. I cry because I am ashamed of your ignorance. Is it any wonder that such stupidity would make me cry?" But one of the men who knew the mullah well began to smile. "But mullah," he said, "tell us why you were laughing at the same time as you were crying." The mullah looked at each person in turn, one after another, and a smile crept across his face. Once more he began to laugh, and so the people stared harder -- to the confusion and amazement of his audience. "I laugh because I do not know what this box is either," he said. "I laugh because even the wisest among us still finds he is a fool in this world."